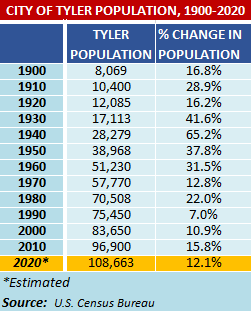 2020 population estimates show that Tyler grew by 1.15% per year between 2010 and 2020. 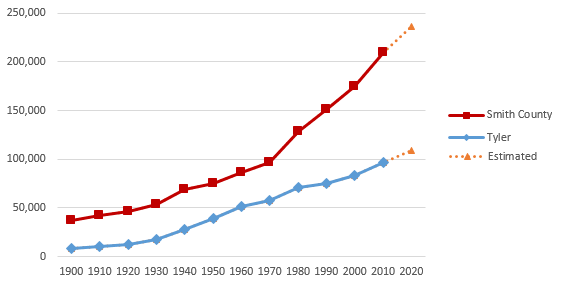 Tyler’s percentage of total county population has declined since 1980 due to new subdivisions being built outside the city. Tyler’s millennial population is higher than the state average. Most Tyler households are family households. Almost a third of all households are single person households. Tyler’s Hispanic population grew by about 55% between 2000 and 2010, but the city still has a lower percentage of Hispanics than the state as a whole. Tyler proportionately has more African-Americans in its population than the state as a whole. 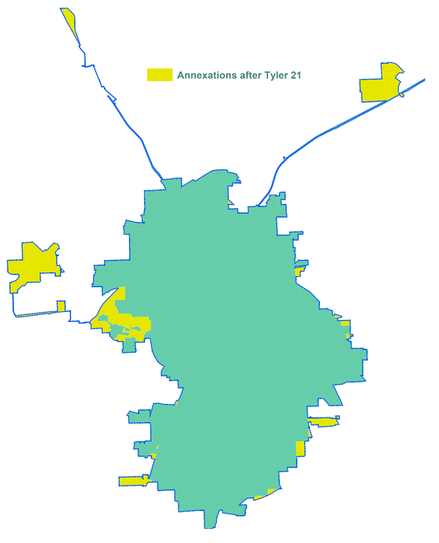 Almost a third of Tyler children lived in poverty at the time of the 2010 census.